Although cleaning your vacation rental yourself will save you a few extra bucks in the short term, hiring a professional cleaner will be more beneficial to you in the long term. An Airbnb cleaner would save you time, increase the quality of cleaning, and double as your eyes and ears. In return, those extra bucks you spent on hiring a cleaner will actually be a great long term investment. 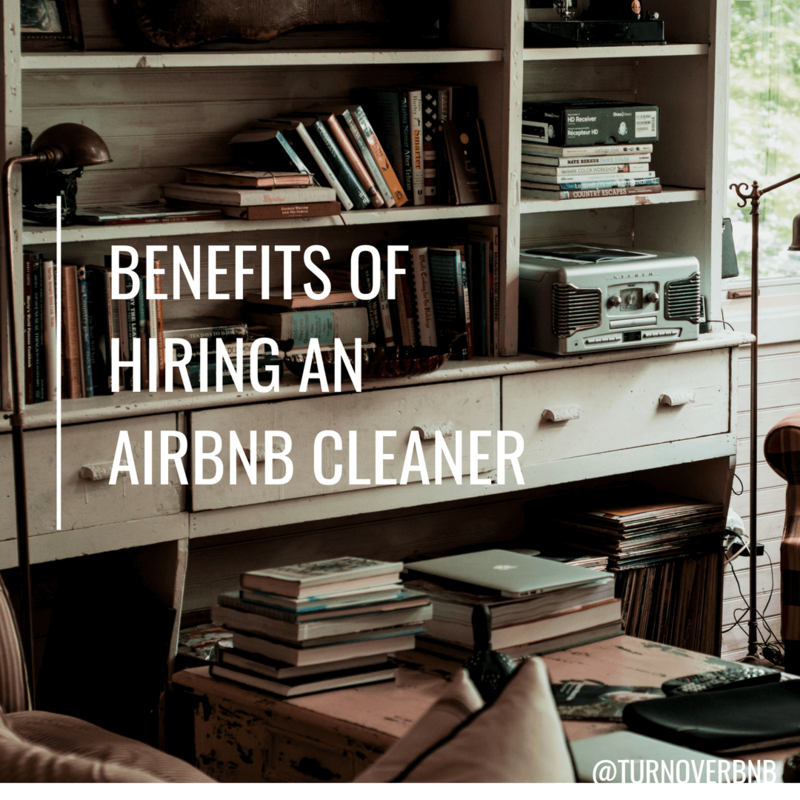 If you’re on the fence about hiring an Airbnb cleaner, find out more about the benefits of having one below. If you’ve got a full-time job, a family, and are managing your vacation rental by yourself, you’ve already got a lot of your plate. Consider hiring an Airbnb cleaner as it would save you hours of precious time. You can use this time to focus more on your full-time career, family, or even the actual management aspect of your property. If you have multiple vacation rental properties, this would especially be beneficial as it would remove the stress of managing cleaning time for each property. Because a professional Airbnb cleaner would have more experience cleaning, this would result in quicker turnovers. Everyone has different standards when it comes to cleanliness. This is why the standard of cleanliness for your vacation rental need to be set high enough to meet any guests’ expectations. Professional cleaners already have these high expectations engraved in their cleaning abilities. They are aware of the exceptional attention to detail that is required when cleaning vacation rentals. An investment in a vacation rental cleaner is sure to boost your positive reviews and ratings. Cleanliness is one of the categories guests can rate you on. As a vacation rental owner, you may not have the time to inspect your property after each guest checking-out. If you are lucky enough to hire the same cleaner for the same property for each turnover, this may turn out to be extremely useful to you in the end. Having your cleaner be in your vacation rental frequently, they will learn to picture things as they should be in your home. This makes it easier for cleaners to detect any damages to your property from the last guest. In a sense, your cleaner can also double as property inspector. If they notice anything out of place or different than usual, they can report it during cleaning. If you’re no longer skeptical about hiring an Airbnb cleaner, join TurnoverBnb today. You will be able to find and manage local cleaners from our TurnoverBnb network.